Home Program Do Children Really Need Discipline? Ep.961: Do Children Really Need Discipline? Raising children is different than it used to be. Somehow or other, the lines between parents and children have become blurred. Somehow or other, the very idea of firm discipline has become associated with beatings and abuse. Somehow or other, our children’s feelings have become the foundation for our parental actions and responses. What happened to parents unequivocally “ruling the roost?” Is that now wrong? What happened to parents being authoritative and firm? Is that now wrong? What happened to the clear lines of right and wrong being the solid foundation for parental decision making? Is that now wrong? Have we begun to approach the point where we assign so many rights to children that we as parents are inherently wrong? 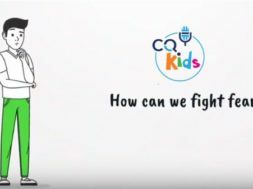 What do children need and how are we supposed to know what they need and how to give it to them? It’s really easy to find information and suggestions on raising kids. What is not easy is finding information and suggestions that are really trustworthy and proven. Think about it, you go online and read about a recent study that tells us how to approach our children when they do wrong. The study flashes information about the potential damage from telling a child the word “no” and concludes that the use of that word should really be avoided. This sounds easy and even attractive. My issue with such a thing is simple. Where is the generational proof that this anti-“no” approach is so much better than confronting a child with the truth of their actions and giving them consequences as tools of learning? While it might feel more harmonious to avoid “no,” is it a provably healthy and viable alternative to the more uncomfortable approach of a firm and loving hand of guidance? Another way of finding child rearing information is to rely on the good ol’ fashioned ways of disciplining from generations past, and this is not without issues either. If you look at the Bible for guidance in raising children, you will inevitably find what is perhaps the most famously-quoted child rearing verse in all of Scripture. It is from the Proverbs 23:13: “Withhold not correction from the child; for if you beat him with a rod he will not die.” To some, this verse seems to give unbridled permission to beat and abuse children as a way to “correct” them and this could not be further from the truth! To others this verse is unequivocal proof that the Bible is old, worn out and irrelevant to our present day child raising challenges and this could not be further from the truth, either! So, if both extremes are untrue then what is the Bible’s message on raising children? We firmly believe that the Bible - when taken in its proper context - offers us a balanced, firm, loving and just solution to raising children. How do we know? Check out our March 13, 2017 podcast, “Do Children Really Need Discipline?” and see how the Bible fashions our earthly family hierarchy after our relationship with God as our Father. Follow along with us as we reveal the many pearls of child rearing wisdom that the Bible holds. This old book might just give you the new approach to raising your children that you are looking for! previous Is Christianity a Greedy Religion? next Is MY Christianity a Waste of Time? 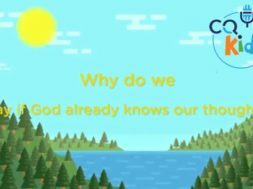 VIDEO: CQ Kids – Why Do We Pray if God Already Knows Our Thoughts? The podcast on Discipline was timely, well researched and God honoring! Thank you!